Are you in the process of a divorce or other related family law matter? If so, you could be facing a series of complex issues that can be emotionally and financially draining. At the Law Offices of Jason K.S. Porter, P.A., we understand the struggles associated with divorce and are here to help you dissolve your marriage as amicably as possible. Coming to a favorable divorce or separation agreement is obviously your main goal, and we make it our goal as well. You may be facing concerns over property division issues, custody, alimony and other issues, and rightfully so! However, by choosing a Jacksonville family lawyer from our firm, you can trust our experience and know that we are doing whatever it takes to get your divorce resolved swiftly so that you can get back to your life as soon as possible. Are you facing a divorce? Our dedicated team can start helping you today! At our firm, we offer valuable guidance rooted in our extensive experience. Whether you are involved in a contested or uncontested divorce, our firm can assist you through each and every step. One of the most important things we want our clients to understand is that we are your advocate. You not only need an attorney who is compassionate, you also need one who is effective. By acting as your legal advocate, the family law attorneys at our firm will be aggressive when necessary in order to achieve the desired results. We will stand our ground for you. Whether you choose contested or uncontested divorce, disagreements will inevitably arise. With a family attorney from Jason K.S. 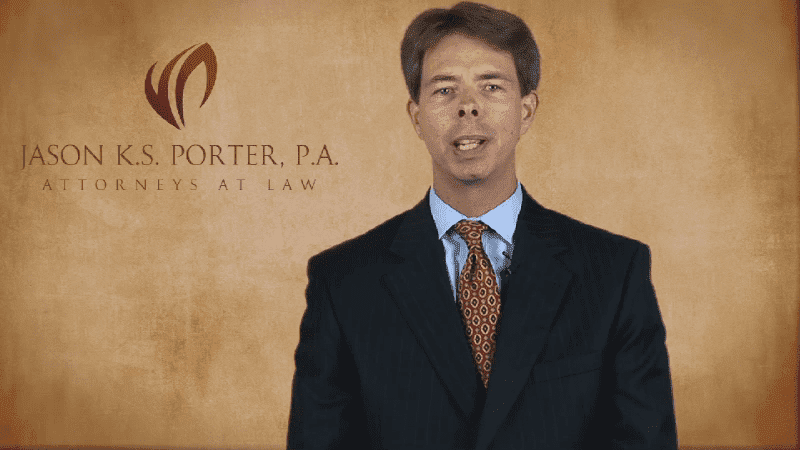 Porter, P.A., you can be confident that you have a strong legal advocate on your side, walking you through the process. You also need to be confident in your family law attorney's knowledge. The attorneys on staff at our firm not only know their way around a courtroom and mediation sessions, our firm has extensive knowledge of family law. We have attorneys on staff at the firm who are members of the Florida Bar Family Law Section as well as members of the Florida Family Law American Inn of Court. Over the years, we have been able to take our knowledge of the family legal system and creatively find ways to apply it to each of our clients' unique cases. There is no "one way" about family law. Our firm truly cares about each client and strives to meet their legal needs at any cost. An uncontested divorce occurs when both spouses agree on marital matters involved in legally ending the marriage. Even if you and your spouse agree on major issues, however, you still need to ensure that your rights and finances are being protected. At our firm we also specialize in this area, working closely with our clients in order to fully understand their needs so they can obtain their goals as their marriage comes to an end. On the flip side, if you are experiencing a contested divorce and cannot reach a mutual agreement, we can effectively guide you to a favorable outcome. Let our Jacksonville Family Law Attorneys Assist You! Call the Law Offices of Jason K.S. Porter, P.A. to receive a free one-hour consultation.